1.This wedge inserting machine will automatically insert wedge into slots. 2. The machine is used for inserting wedge to armature slots. 3. it is easy to change the tooling. 5. It runs in high automation degree. 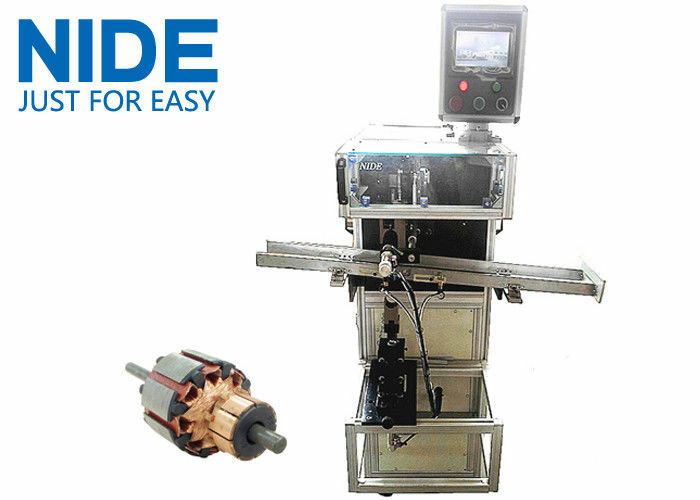 This wedge inserting machine is easy for operation. It’s helpful for customer to reduce labor cost and improve production efficiency. And this machine can be equipped with an automatic feeding device to achieve a fully automatic operation. PLC and touch screen control. 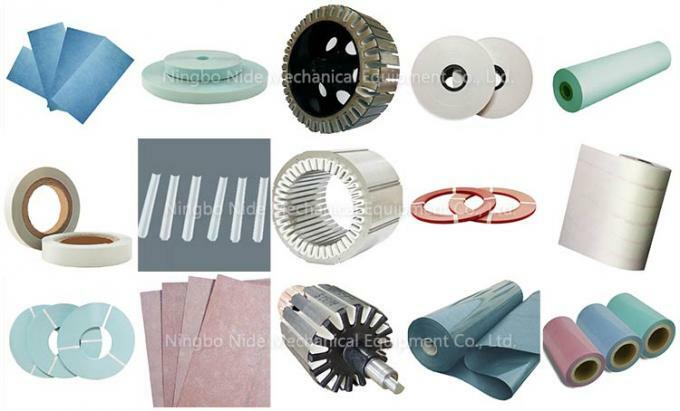 Rotor wedge inserting machine is used for inserting the wedge of rotor. Rotor wedge inserting machine is applied to the field of mass production for rotor, and it is easy to change the tooling. Moreover, the machine body is light and elaborating.The complete machine is controlled by the Siemens programmable controller (PLC), which is made in German. It runs in high automation degree. If only the rotor to be processed is placed on the feeding track, the machine will finish the work such as the rotor lifting, clamping, shaping of the insulating paper, cutting and inserting automatically. It is of high reliability to be under the control of Siemens PLC. The English operation system is availble.